• The jazz shoe is made of premium grade leather. • Split suede sole and eve heel provide traction without taking away the ability to turn. • Full cotton lining and suede insole reduce moisture, just right insole cutting and stitch hug you arch perfectly and give extra support while you jazz. 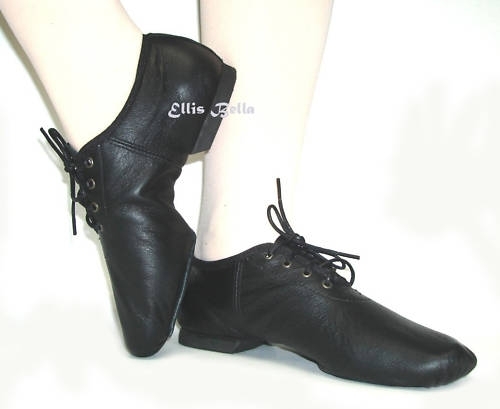 • It is simple and comfortable jazz shoe sure will be loved by you. 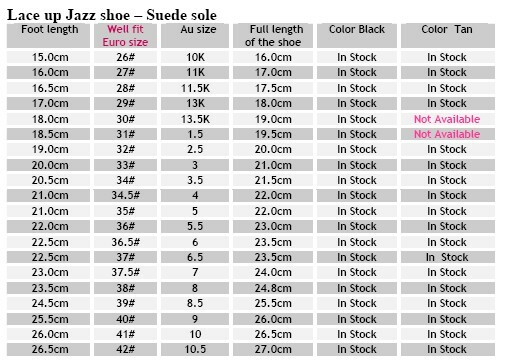 • Please note, our jazz shoe is well made in average wide fitting. Available item ships in 1 or 2 days by australia post, pls note price is included postage $8.80, refund will be the price of the product itself, postage is not refundable. Fitting -- recommend size is well fit for average wide fitting, children size up to 35, if you are fast growing and not a narrow fitting upper size will give about 10 mm for growing. if you prefer snug fit, the foot length the same as the shoe length. 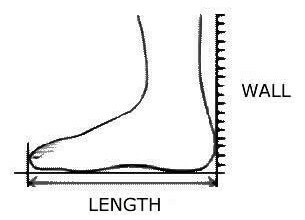 This is only a Guideline to help you to determind your foot length stand up with the heel attach to the wall and measure the distance between the wall and the very last end of the biggest toe, to have you foot length. I have added on AU size for your refference, due to different brand, sizes are slightly different, will recommend to follow our measuring instruction to find your size from our size chart to avoid size disapointment.